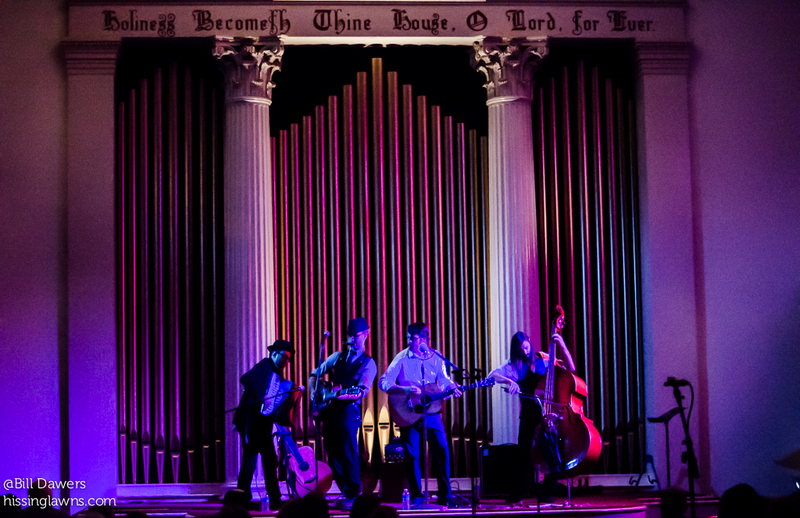 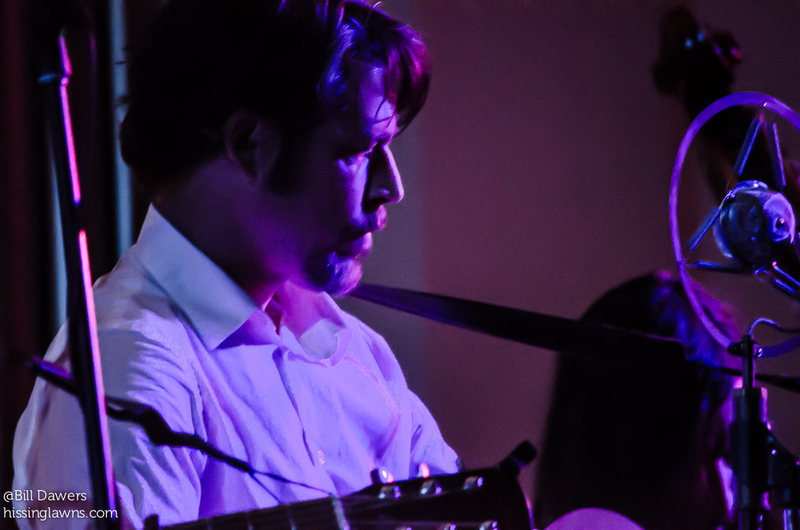 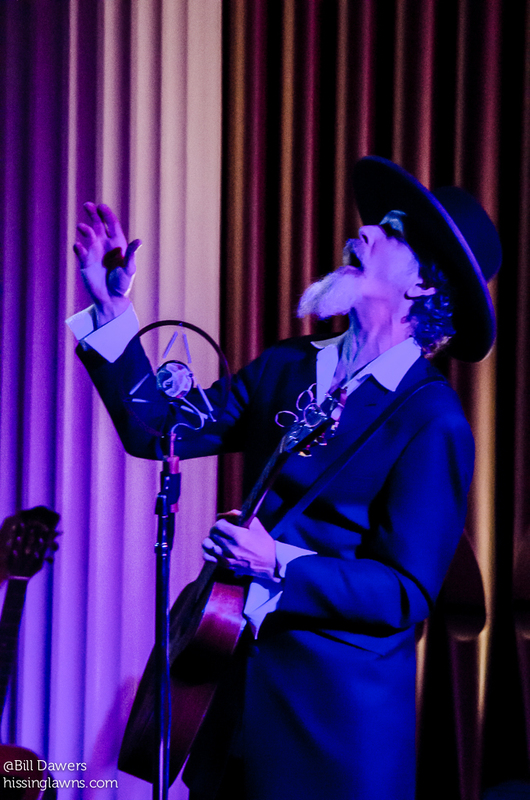 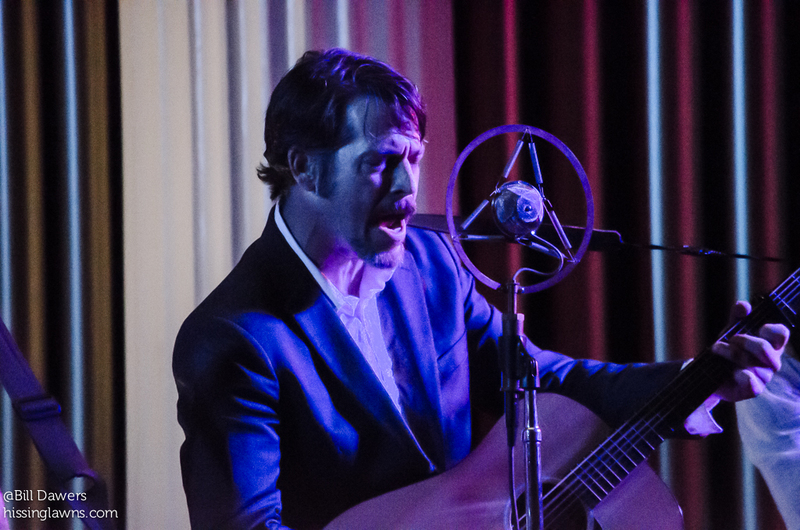 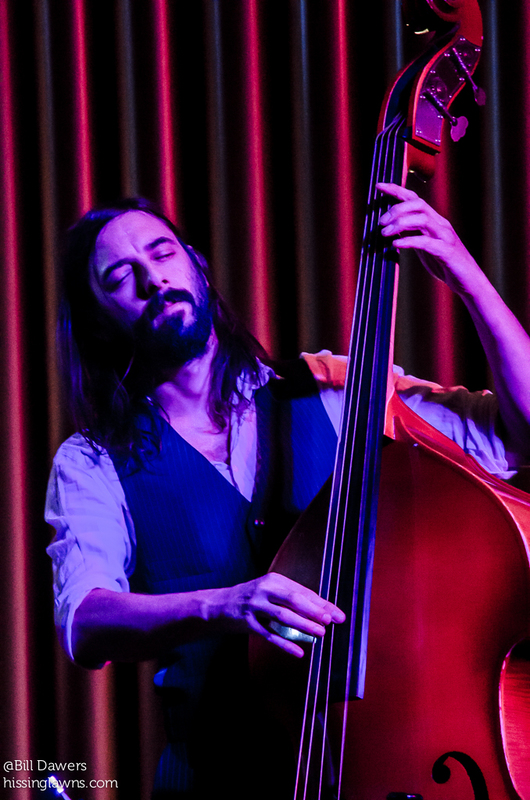 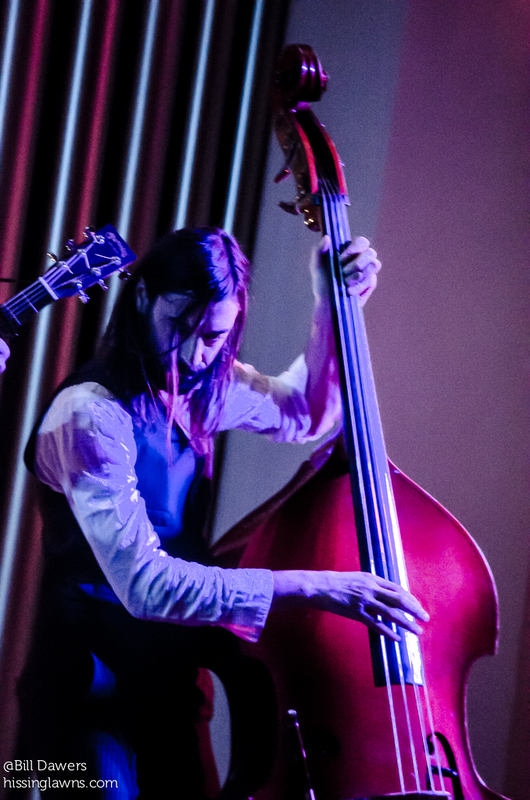 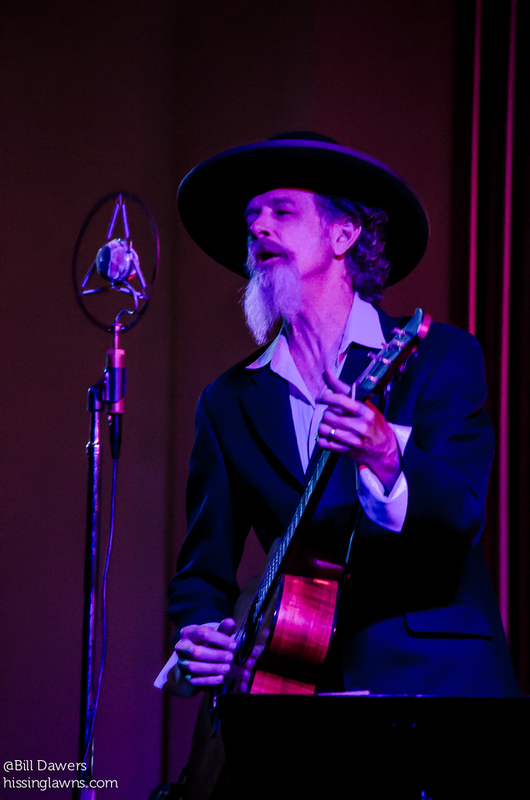 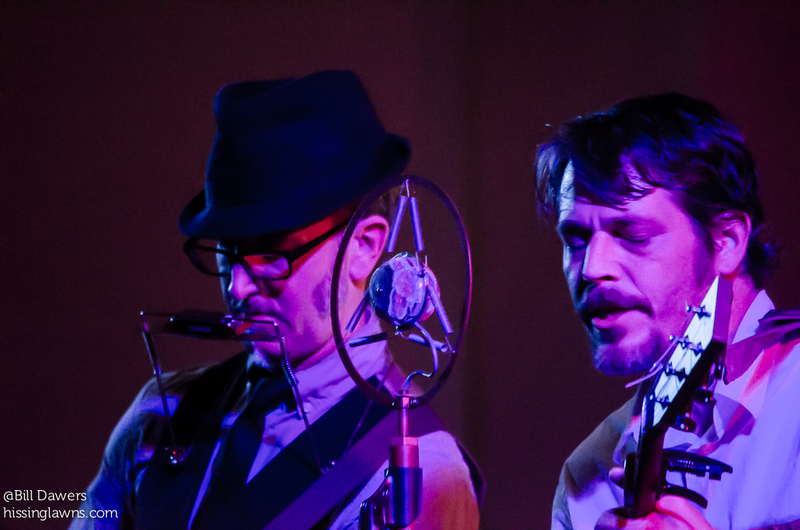 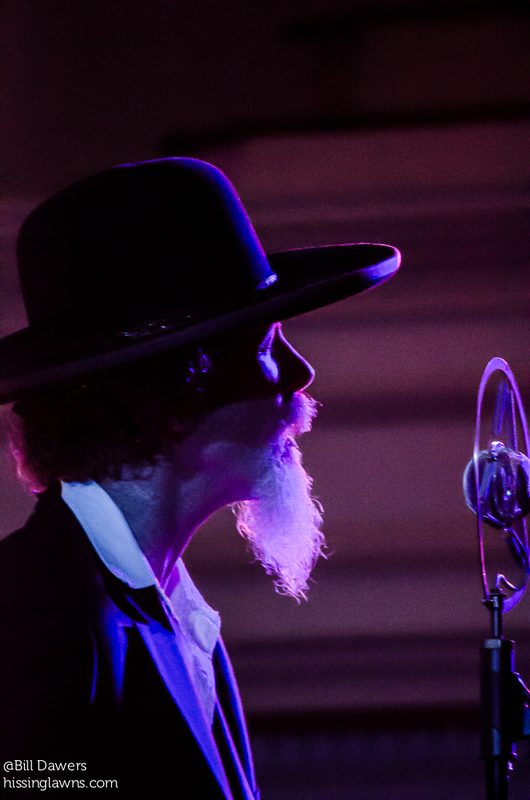 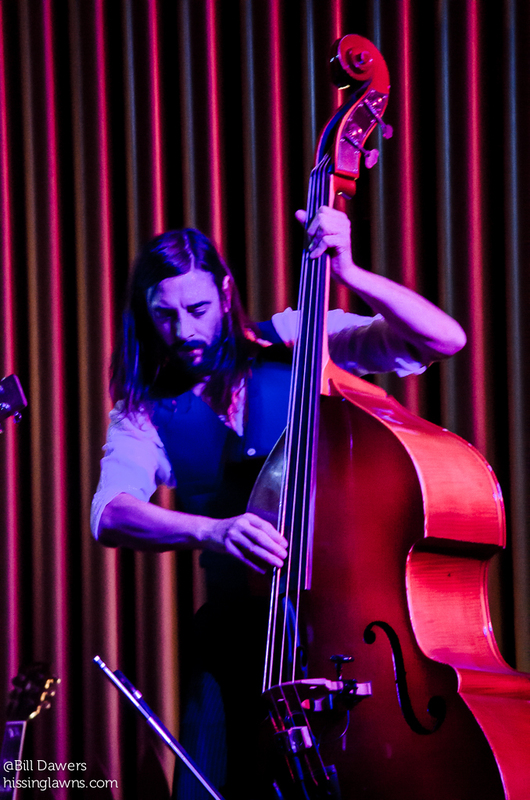 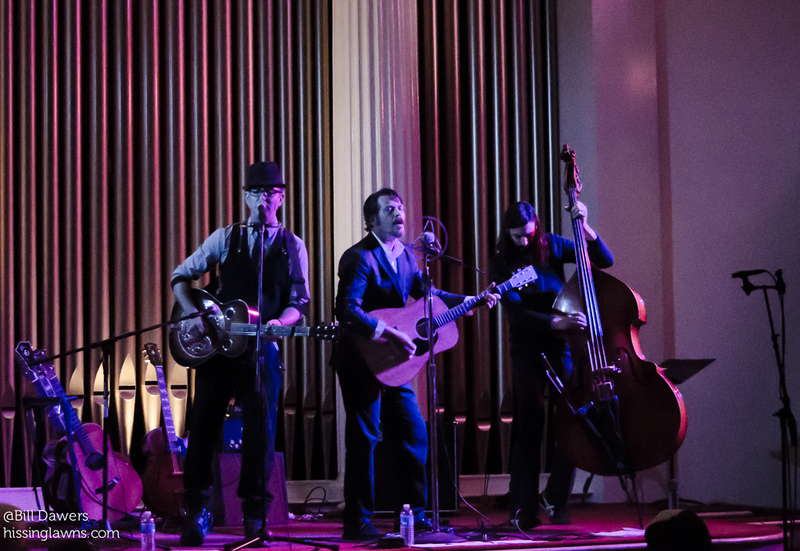 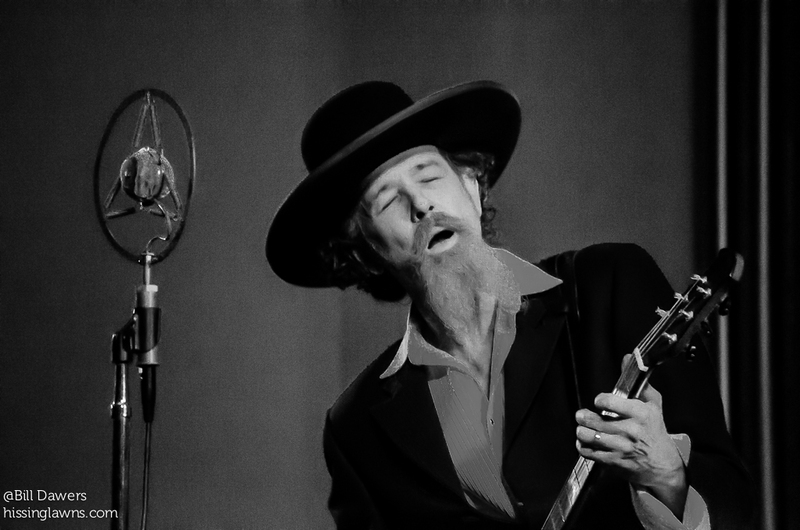 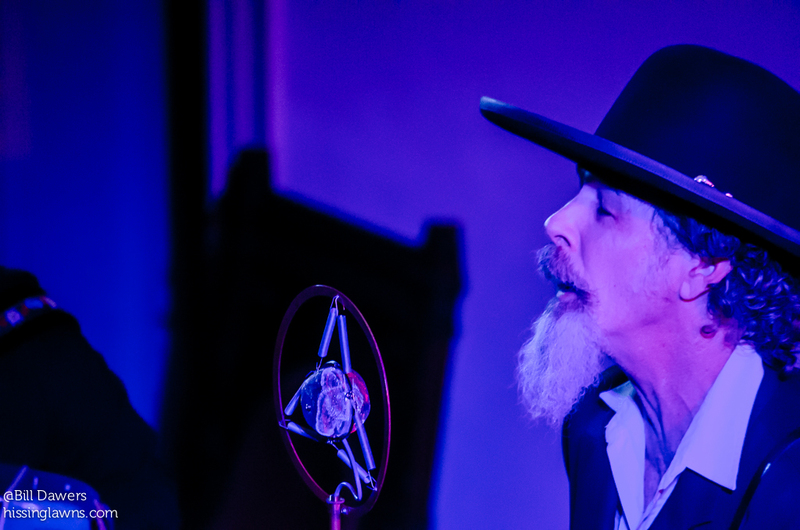 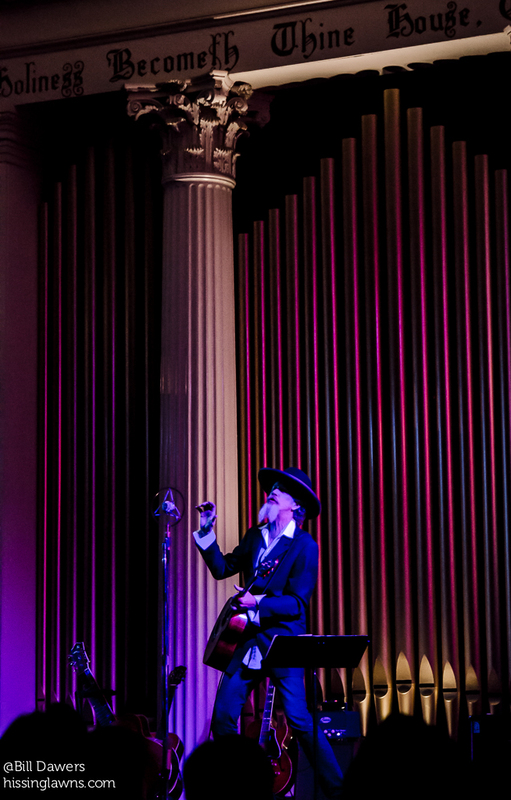 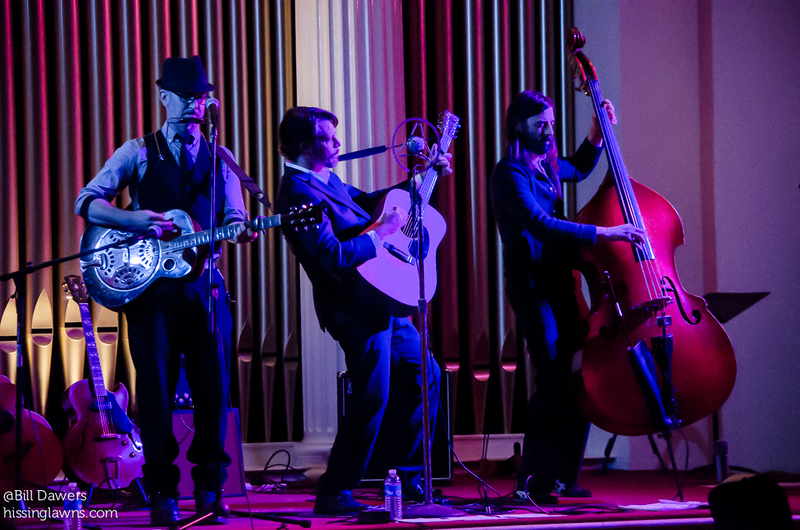 Last week’s Thursday Night Opry in the Trinity Sanctuary Concerts featured the charismatic Walter Parks, who had the crowd enthralled, and opener Waits & Co., an Americana trio whose work seems to get more refined and more evocative with each show. 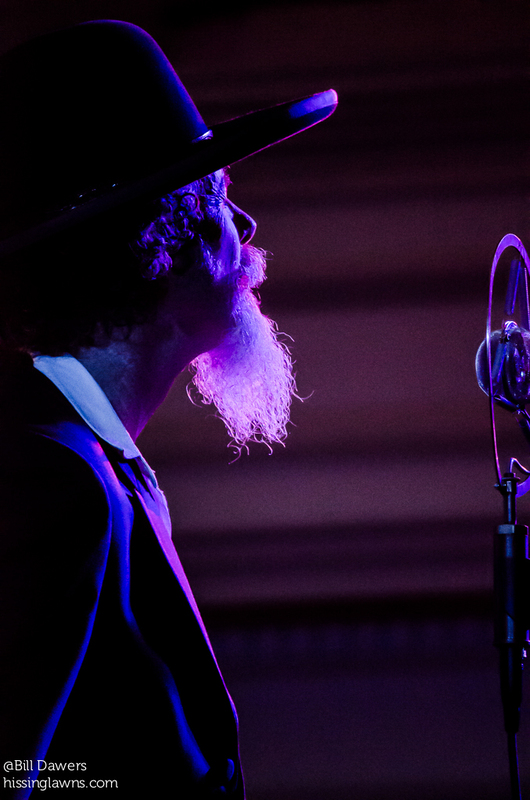 Several times Parks noted that he felt like a preacher — and it sure looks like he’d make a good one, huh? 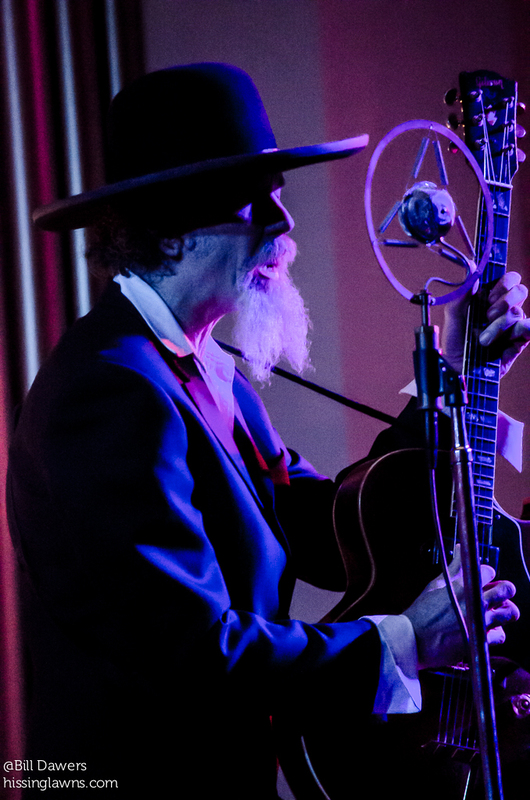 He’s a subtle storyteller and a fantastic guitarist who seems able to do just about anything he wants with the instrument. 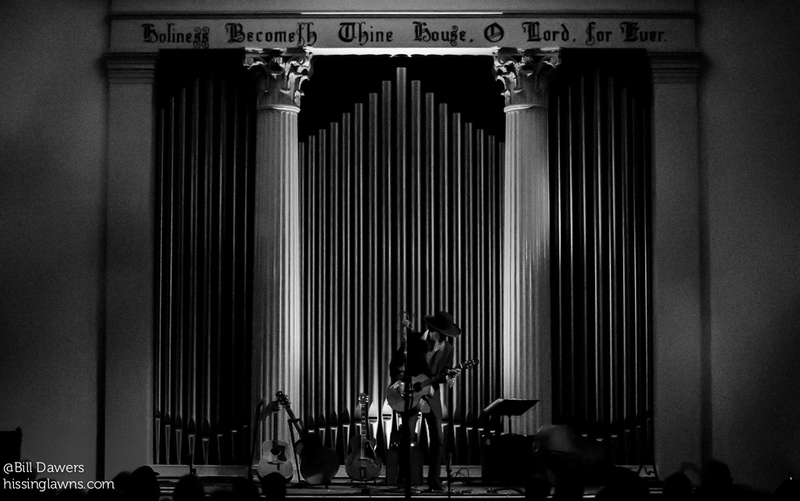 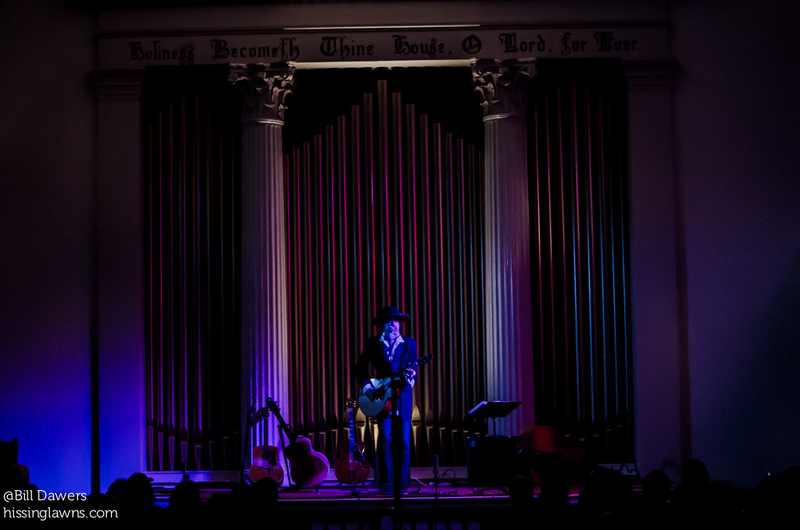 The excellent acoustics at Trinity United Methodist Church and the listening room atmosphere showcased Parks’ vocals too — what an amazing range and what beautiful depth. 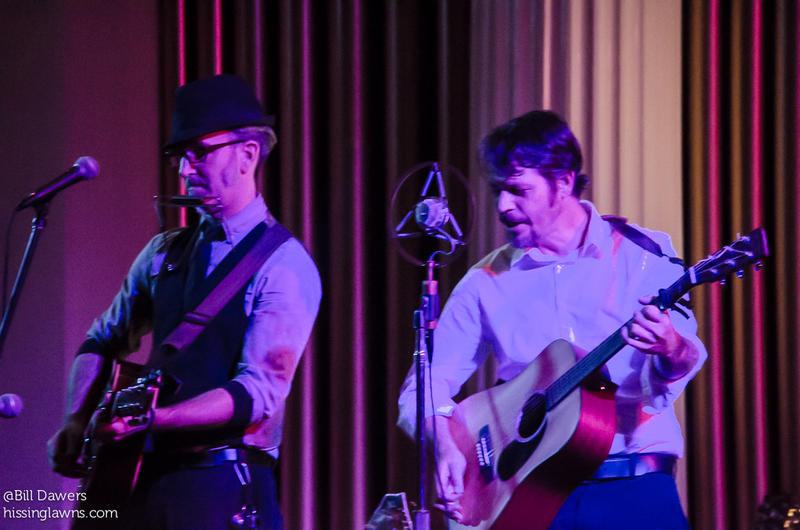 Waits & Co. is headed up by Jon Waits, who is also an excellent photographer and a regular contributor to this blog.That’s Markus Kuhlmann to Jon’s right and Coy Campbell to the left. 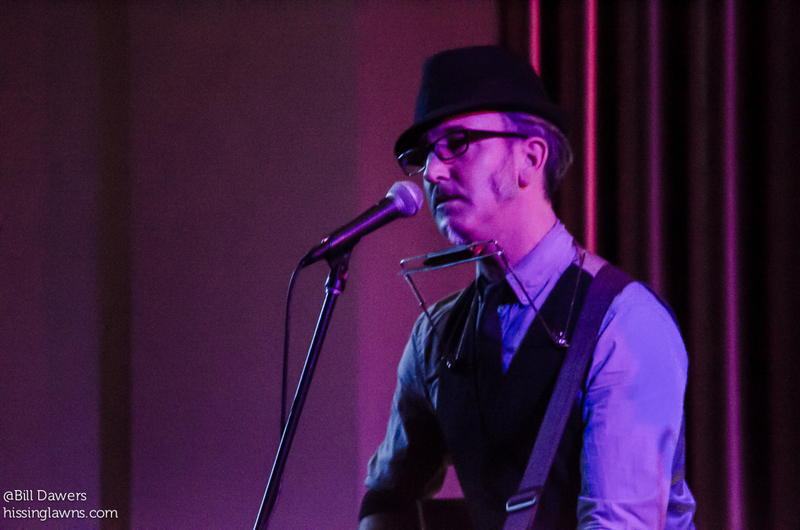 Jared Hall, Trinity’s music director, joined both acts for a couple of numbers. 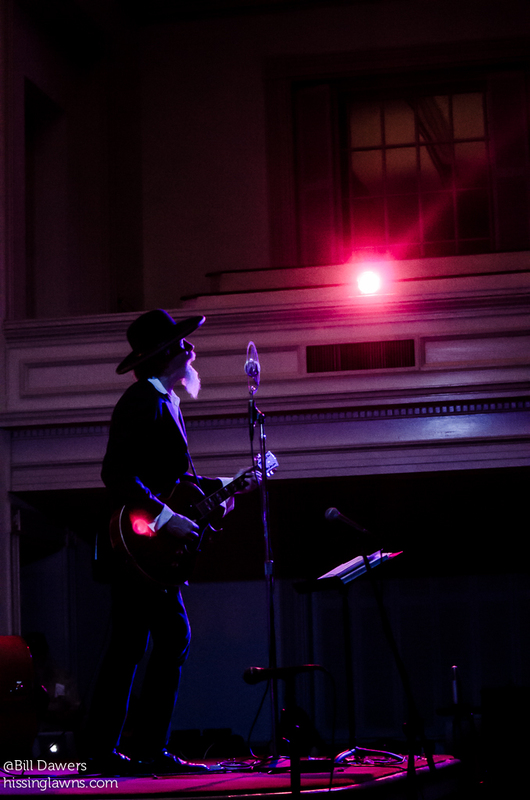 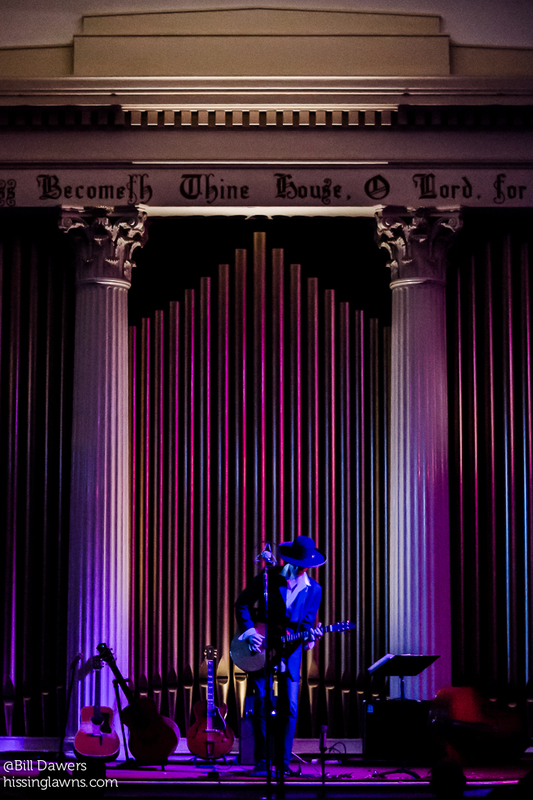 The sanctuary is gorgeous, and the dim lighting — the musicians appear in a purple glow — contributed to the hypnotic mood of Thursday’s show, but that lighting isn’t optimal for shooting photos . 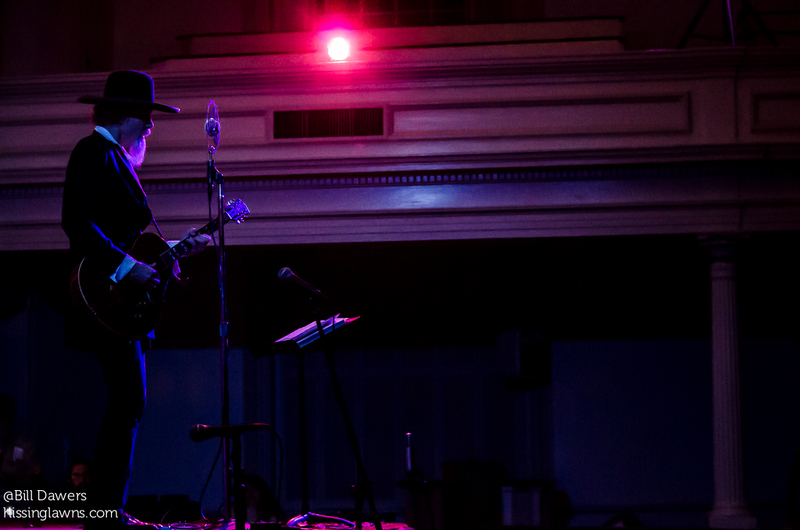 . . A couple shots here with more after the jump.